For probably the largest selection of catering equipment at fantastic prices the Catering Equipment Company is your one stop shop. 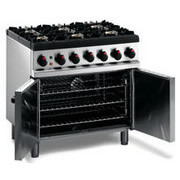 We have a selection of catering equipment from most of the top catering equipment manufacturers. Our catering equipment products include ovens, fryers, griddles, grills, microwave ovens and stainless steel catering equipment. As well as the larger items of catering equipment we also sell crockery, cutlery, refrigeration, ice machines, soup kettles, fly killers, and much more. For washing and cleaning the Catering Equipment Company has a fantastic selection of glass washers and dish washers for you to choose from. Call the Catering Equipment Company and tell us your catering equipment requirements.